Long before the advent of multimedia, before television and moving pictures and graphic news in real-time, the Eastern Church taught and prayed with sacred pictures. These pictures are known as “icons.” The Greek Rite of the Church is a living treasure of worship. This book is an exposition of that lived treasure, embodied today in St. Nicholas Ukrainian Greek Catholic Church in upstate New York. 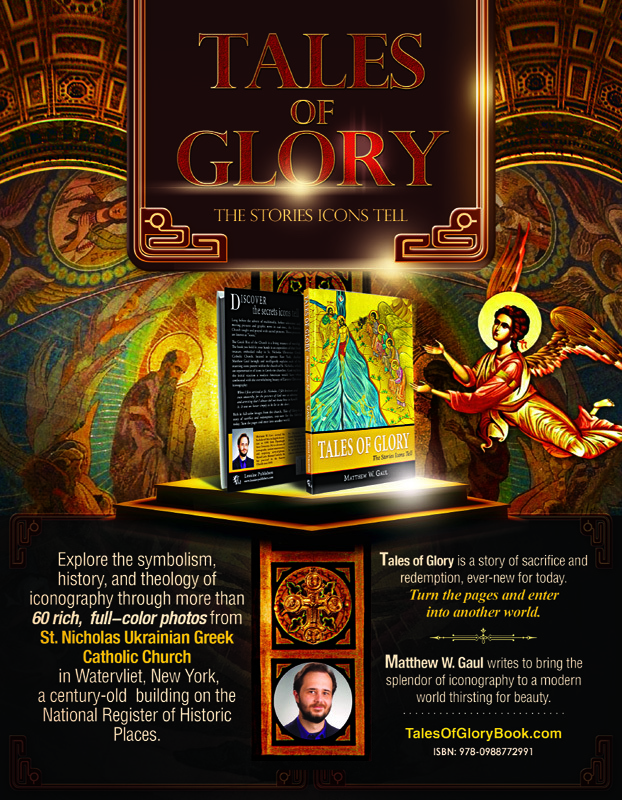 The beautiful and rugged hardcover includes: glorious full-color photography and rich explanations of the Twelve Great Feasts, many favorite saints and angels; a comprehensive glossary of iconography; and much more! Author Matthew Gaul lovingly and intelligently explains each of the stunning icons present within the church of St. Nicholas, which are representative of icons in Greek-rite churches. Gaul explains the initial reaction a modern American would have when confronted with the overwhelming beauty of Eastern Christian iconography. One of our NRC friends and members wrote this awesome book and we give it two thumbs up! Whether you're just just curious about the meaning of icons or a serious Byzantine coin collector, this is the book for you.